Innovations en concert is delighted to present the album launch of Guided by Voices, the newest and long-awaited recording project of cellist Elinor Frey on the label Analekta. Two Baroque instruments are used in this project, the four-string and five-string cello, each with a sound and character which strongly contrast with the modern cello – and which have inspired some of today’s outstanding composers to explore their unique qualities. Begun in 2014 with a work for the five-string Baroque cello by Scott Edward Godin, the album also features Canadian composers Linda Catlin Smith, Isaiah Ceccarelli, and Maxime McKinley. Works by the Japanese-American composer Ken Ueno and Swedish-German composer Lisa Streich complete the program. When composers write new pieces for “Baroque” cello it becomes an instrument of today, not only past eras, helping to expand the sound worlds of both the cello and new music audiences. Each work reveals the cello’s incredible versatility and remarkable colours. We can’t wait to welcome you to the launch of a major contribution to the “celloverse”! 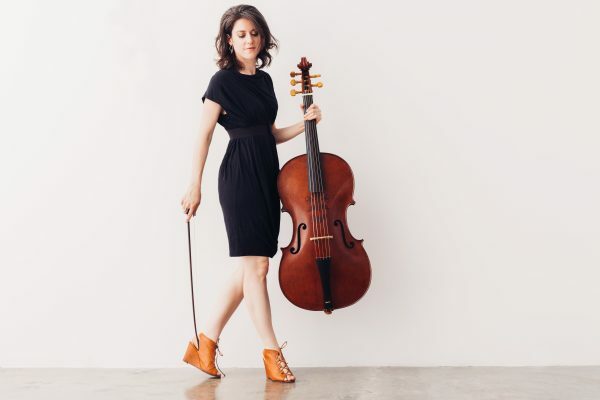 Frey’s debut album, Dialoghi, is titled for the solo piece written for her by Steven Stucky, and her CD of new works for Baroque cello, titled Guided By Voices, will be released on the Analekta label in March 2019. These works are by Scott Godin, Linda Catlin Smith, Ken Ueno, Isaiah Ceccarelli, Maxime McKinley, and Lisa Streich. She also recently performed Lutoslawski’s cello concerto and a new concerto by Colin Labadie with the Laurier Symphony, as well as a concerto for five-string cello by Keiko Devaux with Ensemble Arkea and conductor Dina Gilbert. Frey’s honours include a US-Italy Fulbright Fellowship where she studied baroque cello with Paolo Beschi, the SSHRC Canada Graduate Scholarship, American Musicological Society, and Canada Council for the Arts grants facilitating her work on Italian cello music. In recent seasons she has performed with Il Gardellino, Constantinople, Clavecin en concert, Ensemble Caprice, Les Idées heureuses, Arion, Les Boréades, and Theatre of Early Music, as well as with her quartet, Pallade Musica, grand prize winners of the 2012 Early Music America Baroque Performance Competition and second prize winners in the 2014 International Van Wassenaer Competition in Utrecht. Frey holds degrees from McGill, Mannes, and Juilliard.